Painted in a pale shade of cardboard brown, and with a docking base to match, it’s one of the most unique—and gorgeous—custom consoles I’ve seen from a platform holder in a long time. 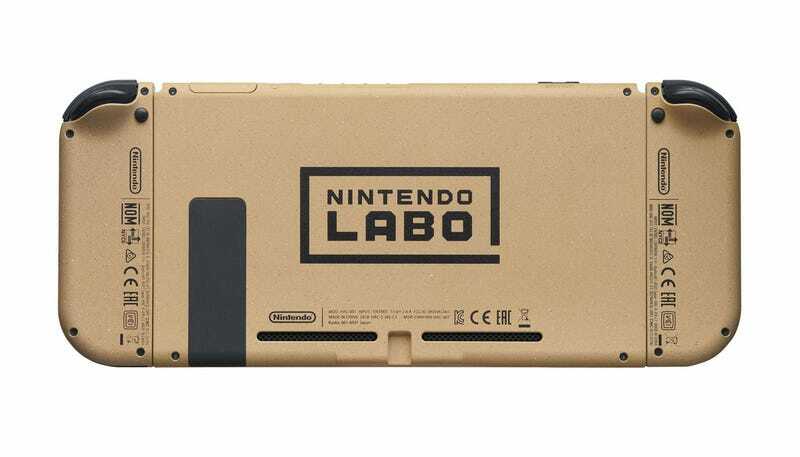 Look at that cardboard-themed detailing on the back of the dock! Lovely. As reported by Tiny Cartridge, other prizes include Labo jackets and posters signed by the dev team. The contest starts July 19 at Labo’s site. Nintendo, please release these so we can all buy one, thank you.